One of the most horrible mistakes made in the early days of the internet was to use SSL (an “HTTPS” connection) for both securing a connection with encryption and verifying that the server you reach matches the URL you entered. Encryption is necessary so you can’t be spied on by anyone running wireshark on the same hotspot you’re on, something that happens all the time, every day, to everyone connecting to public wifi, which means just about everyone just about any time they take a wifi device out of the house. It is pretty certain that you – you yourself – have thwarted cybercrime attempts thanks to SSL, not just once but perhaps dozens of times a day, depending on how often you go to Starbucks. The second purpose, attempting to guarantee that the website you reached is served by the owner of the domain name as verified by some random company you’ve never heard of is an attempt to thwart so-called “Man in the Middle” (MITM) and DNS poisoning attacks. While these are also fairly easy (especially the latter), they’re both relatively uncommon and the “fix” doesn’t work anyway. In practice, the “fix” can be detrimental because it gives a false sense of security to that sliver of the population that knows enough to be aware that the browser bar ever shows a green lock or any other indicator of browser trust and not aware enough to realize that the indicator is a lie. It is beyond idiotic that our browsers make a big show of this charade of identity verification with great colorful warnings of non-compliance whenever detected to order to force everyone to pay off the cert mafia and join in the protection racket of pretending that their sites are verified. I’ve written before why this is counterproductive, but the basic problems is that browsers ship with a set of “root” certificates1You can review a list of the certificates of trusted Certificate Authorities here. Note that the list includes state-agency certificates from countries with controversial human rights records. that they trust for no good reason at all except that there’s a massive payola racket and if you’re a certificate issuer with a distributed accepted CA certificate you can print money by charging people absurd fees for executing a script on your server which, at zero cost to the operator, “signs” their certificate request (oh please, please great cert authority sign my request) so that browsers will accept it without warning. It isn’t like they actually have the owner of the site come in to their office, show ID, and verify they are who they say they are. Nobody does that except CACert; which is a free service and, surprise, their root cert is not included in any shipping browser. Users then will typically “trust” that the site they’re connecting to is actually the one they expected when they typed in a URL. Except they didn’t type a URL, they clicked on a link and they really have no idea where there browser is going and will not read the URL in the browser bar anyway and bankomurica.com is just as valid as bankofamerica.com, so the typical user has no clue where the browser thinks it is going and a perfectly legit, valid cert can be presented for a confusing (or not really so much) URL. Typosquatters and pranksters have exploited this very successfully and have proven beyond any doubt that pretending that a URL is an unambiguous identifier is foolish and so too, therefore, is proving that the connection between the browser and the URL hasn’t been hijacked. Further, law enforcement in most countries require that service providers ensure that it is possible to surreptitiously intercept communications on the web: that is do the exact thing we’re sold that a “valid” certificate makes “impossible.” In practice they get what are called “lawful intercept” certificates which are a bit like fireman’s key that doesn’t compromise your security because only a fireman would ever, ever have one.. Countries change hands and so do these. If you think you’re a state-level target and certificate signing has any value, you’re actually putting your life at risk. This is an immense disservice because there will be some people at risk, under surveillance, who will actually pay attention to the green bar and think it means they are safe. It does not. They may die. Really. Commercial certs can cost thousands of dollars a year and they provide absolutely zero value to the site visitor except making the browser warnings go away so they can visit the site without dismissing meaningless and annoying warnings. There is absolutely no additional value to the site operator for a commercial cert over a completely free self-signed cert except to make the browser warnings go away for their visitors. The only entity that benefits from this is the certificate vendor from the fees they charge site operators and for the browser vendor for whatever fees are associated with including their certificates in the browser installer. You, the internet user, just lose out because small sites don’t use encryption because they can’t afford certs or the hassle and so your security is compromised to make other people rich. There are far better tools2The hierarchical security model that browsers currently use, referencing a certificate authority, does work well for top-down organizations like companies or the military (oddly, the US Military’s root certificates aren’t included in browsers). In such a situation, it makes sense for a central authority to dictate what sources are trusted. It just does not make sense in an unstructured public environment where the “authority” is unknown and their vouch means nothing. that use a “Web Of Trust” model that was pioneered by PGP back in the early 1990s that actually does have some meaning and is used by CACert, meaning CACert certificates actually have some meaning when they indicate that the site you’re visiting is the one indicated by the URL, but since CACert doesn’t charge and therefore can’t afford to buy into the cert mafia, their root certs are not included in browsers, so you have to install it yourself. Use CACert and ask users to be smart enough to install the CACert root certificate and thus actually encrypt and reasonably securely prove ownership. And, of course, agitate for rationality: Perspectives and the CACert root should ship with every browser install. 1. 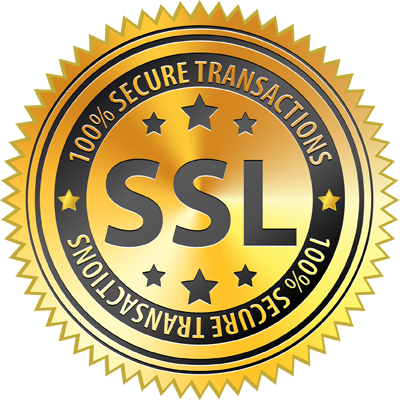 ↑ You can review a list of the certificates of trusted Certificate Authorities here. Note that the list includes state-agency certificates from countries with controversial human rights records. 2. ↑ The hierarchical security model that browsers currently use, referencing a certificate authority, does work well for top-down organizations like companies or the military (oddly, the US Military’s root certificates aren’t included in browsers). In such a situation, it makes sense for a central authority to dictate what sources are trusted. It just does not make sense in an unstructured public environment where the “authority” is unknown and their vouch means nothing. 3. ↑ If you’re running your own web services, for example a web-interface to your wifi router or a server or some other device with a web interface, it will probably use a self-signed cert and you’ve probably gotten used to clicking through the warnings, which at least diminishes the blackmail value of the browser warnings as people get used to ignoring them. Installing certificates in Firefox is pretty easy. It is a major hassle in Chrome or IE (because Chrome, awesome work Google, great job, uses IE’s certificate store, at least on Windows). Self-signed certs are used everywhere in IT management, almost all web-interfaced equipment uses them. IBM has a fairly concise description of how to install the certs. Firefox wins.